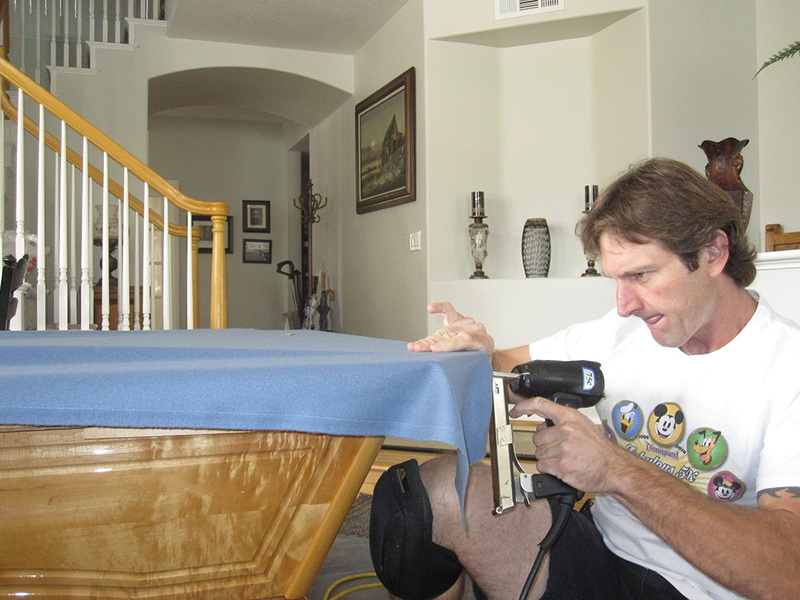 Last week we went to Foothill Ranch, CA to finish up a pool table we had disassembled in July. 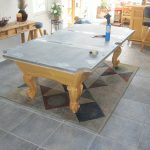 Our customer was adding on a room above their game room and needed us to safely move the pool table out of the way so construction could begin. 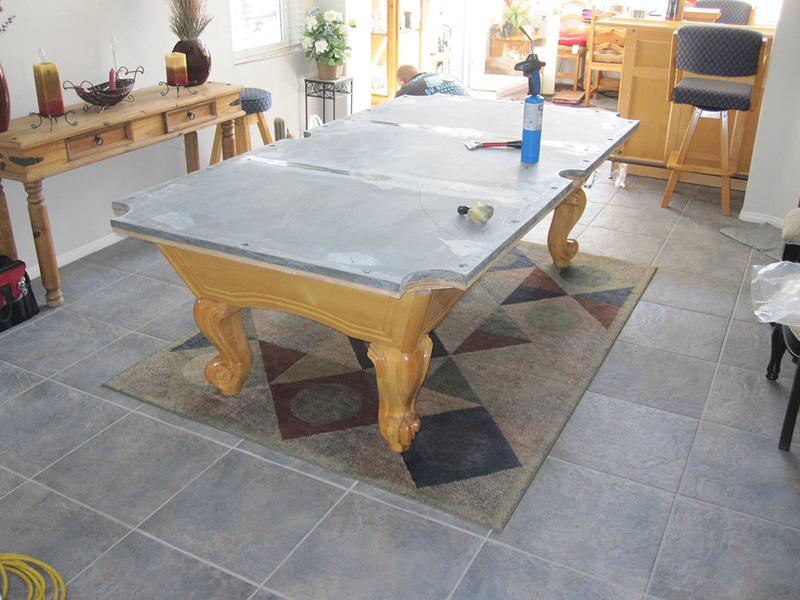 So we stored the disassembled pool table in their garage. 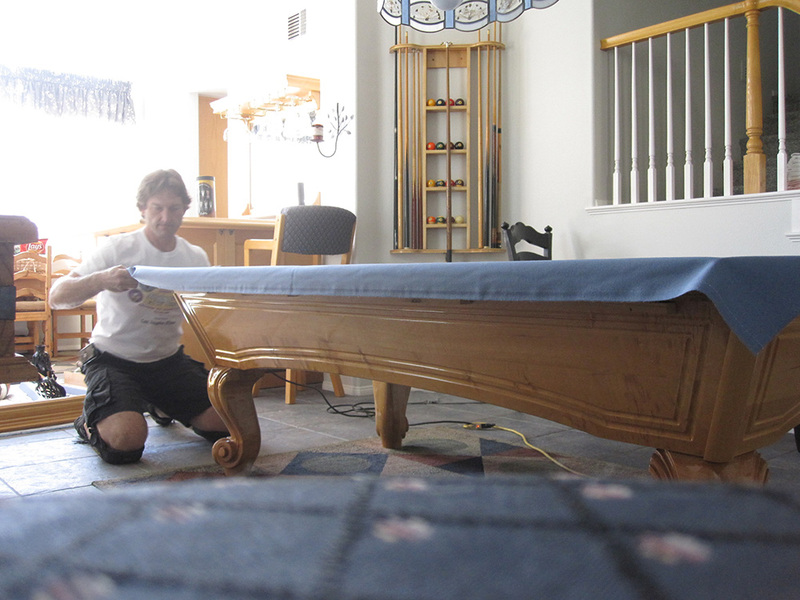 About a month and a half later they were ready to have the pool table assembled and refelted. 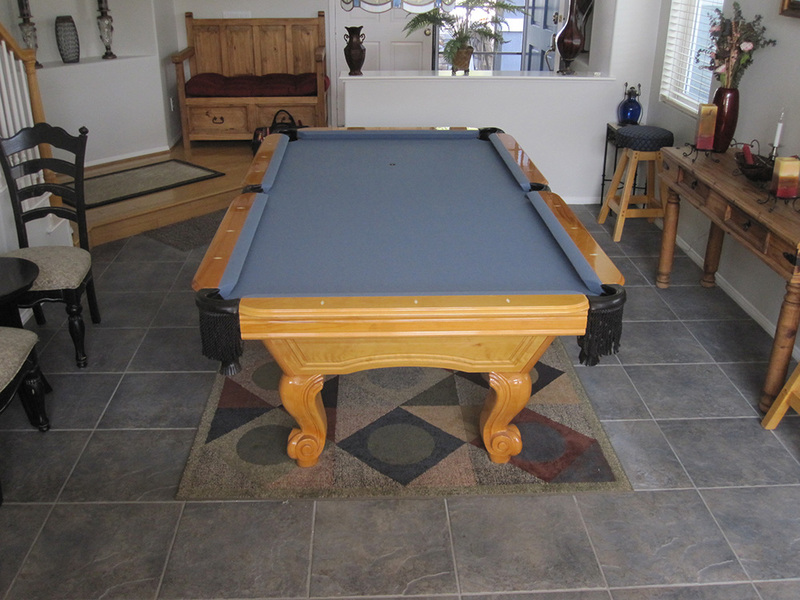 The pool table originally had a Navy Blue felt on it when they purchased it 10 years earlier. This time the Mrs. wanted something a little lighter in color. They decided to go with Cadet Blue. The new color tied in well with the other furnishings in the game room.